This is one of those deja vu posts — every year in March, our neighborhood gathers for a Winter Blues pizza party/ Yankee Raffle event as a way to reconnect as Spring arrives. Last night, more then 150 people came out for the event, and it was nice to see everyone again. We even helped an elderly neighbor, who has trouble walking, to the event, as a way to connect even the housebound to the community during the waning days of Winter. She was very grateful. 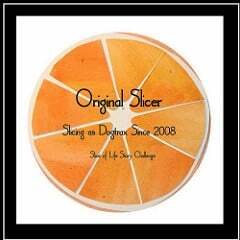 I’ve written about the event most Marches for Slices of Life over the past ten years. One of the items in the raffle immediately caught my eye. It was a large, oversized, framed map of our part of the city, in the aftermath of the Mill River Flood. The year is 1874. 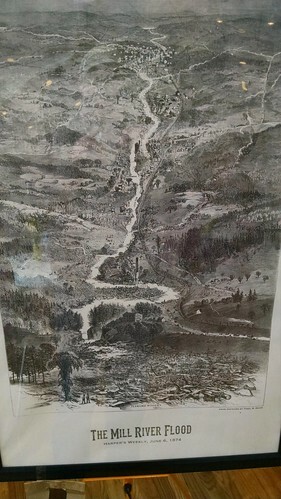 The flood began when an upper reservoir broke, and a wave of water barreled down the Mill River, killing people and destroying mills and other buildings. The Mill River flood is part of our neighborhood’s story (a few years ago, we established a plaque by the river, dedicated to those who died in the flood). Believe it or not, we still find shards of pottery and old glass in the river from the remains of the flood. The map was intriguing because it was published in Harper’s Weekly magazine, apparently, and it shows the old railroad lines and mills. We didn’t win the poster in the raffle, darn it, but my wife and I found out who can get us a copy. PS — when my youngest son was 8, he made this video about our Leeds community. It was a project that he wanted to do, and we loved seeing his view of the neighborhood from his eyes. I have not lived in a neighborhood type place in so long, but your post had me longing for those days. I loved Rowan’s video too! Your post and your son’s video make me want to move to Leeds! It sounds like such a friendly place! Thanks. It’s a nice place, full of nice people. Your neighborhood sounds like a wonder of a place, and to be near a river is great. My husband and I lived by one a long time ago, could take our canoe out to see its marvels for a long way. Love the video, a special capture of Leeds, but also your son. I liked hearing about the map, too, glad you can find a copy! Sounds like a wonderful place to raise a family. I enjoyed the video, too. You can tell how much the community means to Rowan. And thanks, also, for inspiring a slice (it may appear tomorrow). What a nice place to live! And what a great tradition. I believe you still find remnants of the flood. What fun that must be! Maps, videos, slices — all mark the accretion of history via different vantages and media. Thanks to you and your son for artfully driving this point home. I found my way to your blog today through a trail of poems you left on other slicers’ blogs, using a line from each slice as an inspiration. It felt like little literary breadcrumbs, leading me to your description of your neighborhood. Leeds sounds like a really friendly place to live.